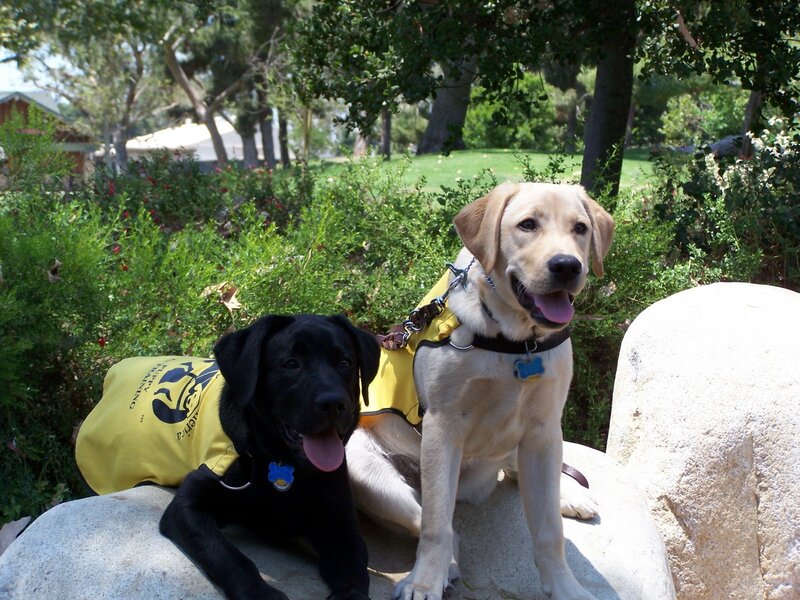 I got the news last night: Truman and Tai will be featured during the month of October in the 2008 GDA South Bay Puppy Raisers calendar! We don’t yet have a fully printed sample calendar for me to show around, but they’re very nice quality — and the photos are, of course, stunning. 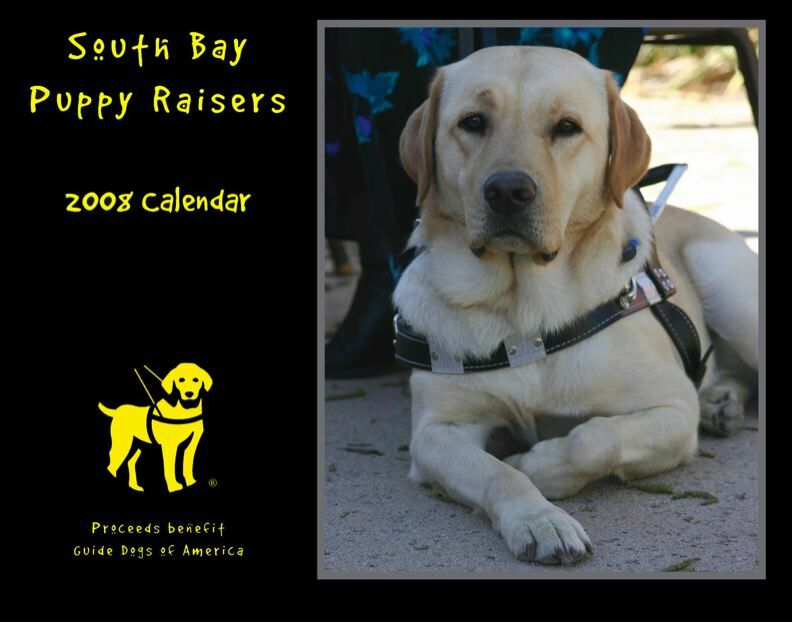 🙂 We’re hoping to sell the calendars at the same low price ($12) as last year. If any of you are interested in purchasing a calendar, please e-mail me so I can get a pre-order list started, and I’ll give you details as soon as I get them. Those of you who get the GDA “Partners” newsletter (downloadable in PDF version on the website) will hopefully see a blurb about it in the next quarterly issue; you may even be able to order it through them (wherever you buy it, all proceeds go to GDA). I called this post “Calendar Boys” — plural — for a reason. Imagine my elation in discovering this year’s “cover dog” is none other than the exceedingly handsome Guide Dog Lomax! This entry was posted in LOMAX, TRUMAN. Bookmark the permalink. He is one good looking dude! YAY – that’s awesome! How exciting! that is, by far, one of the best pictures of Lomaxy I’ve ever seen!!!! So dignified!! Come to think of it… I’m not sure how he’d feel about me calling him “Lomaxy” anymore! huh… 🙂 I’m definitely getting one of those calendars!!! and none more deserving of the cover, and welcome to the october calendar dog club. love to the brudder, and the other brudder. Wow, Lomax and Truman both in the calendar, awesome! Congratulations, Lomax and Truman (and Tai, as well!)! That’s really cool! Congrats on the calendar glory! !